You are at:Home»Technology»Electronics»Ring vs Ring 2: Which Is Better For Your Home Security? Nothing is more important than keeping your family safe while at home. You never know when a thief will target your home to rob. Thankfully, there are many great and affordable home security technologies to choose from. Two of these technologies are Ring and Ring 2. 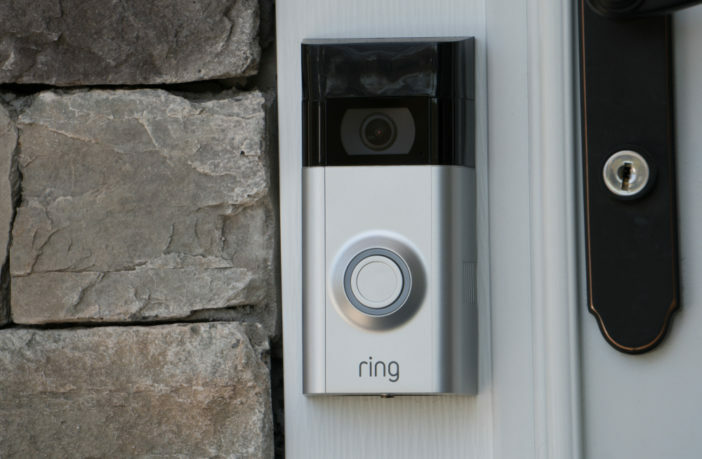 Ring is a video doorbell security system that enables you to see those that come to your front door and answer it right from your smartphone. There are slight differences between the Ring vs Ring 2. Below, we compare the two systems to see which is the better home security system. When comparing the Ring vs Ring 2, there is a notable difference in price. However, this is due to the added technology features you get with the Ring 2 vs Ring. The Ring costs $99 and the Ring 2 costs $199. If you want expert installation, additional accessories, or the Ring Protect Basic or Plus plan, you will want to pay extra. These two products look almost identical with similar colors, design, and the Ring logo. The only difference in look is that the Ring 2 is slightly larger in size. Ring: 4.98 in. x 2.43 in. x .87 in. Ring 2: 5.05 in. x 2.50 in. x 1.08 in. Ring & Ring 2: Weather Resistance, Works in -5℉ to 120℉ weather. Ring & Ring 2: Android, iOS, Mac, and Windows 10. Works with Alexa. After comparing the technical aspects of the Ring vs Ring 2, the Ring 2 has a few notable advantages including a removable battery, having vertical video field of view, and having a video quality of 1080p HD. However, because of the better video quality, the Ring 2 does require a higher Wi-Fi speed than the Ring. Once your Ring is set-up with your device, you will be able to receive Motion Alert and Doorbell Ring notifications straight to your smartphone. You just have to click on it and the Ring video will pop up on your cell phone. Plus, you can connect it with your Alexa enabled device for voice commands. Honestly, the usability for the Ring and Ring 2 is practically the same, and very user-friendly. The only difference I noticed is that when it comes time to charge the battery, the procedure is different. With the Ring, you need to remove the whole device and charge it by plugging the USB cable provided into your computer. With the Ring 2, you don’t have to remove the whole device, just the battery. After looking at the price, look, technical features, and usability, the Ring is just as good as the Ring 2. The only notable advantages of the Ring 2 being the 1080p HD video, horizontal and vertical field of view options, and having a removable battery. To most, these differences don’t make or break the deal. It comes down to the price. Getting the Ring for only $99 while getting practically all of the features the Ring 2 has is too good to pass up. Related Post: The Best Peephole Camera Options That Are Affordable!